The topic was fundraising. 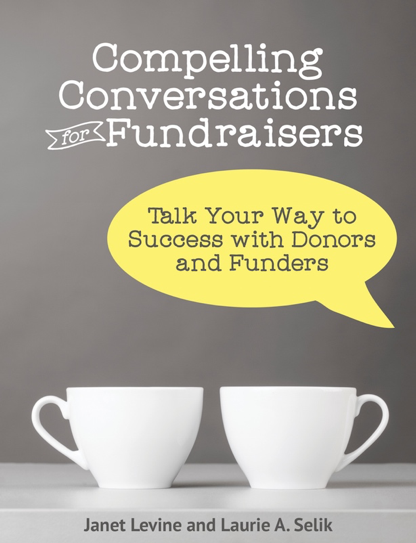 Specifically, how to be more effective, efficient and increase your fundraising results. We talked about changes in the sector and changes beyond the sector that affected how we raise funds. And how, I asked, are you increasing your prospect pool? She said that they weren’t. After all, they brought in $342,00 every year. That was what their budget called for. If I could have raised an eyebrow—a skill I don’t possess—I would have. What was said might have been true, if the organization was good being where it’s been and existing on less buying power for the same dollar amount. And if—a big if—no donor leaves or makes a smaller gift. I’m not one to say that every nonprofit has to grow. Being the size you are may be right for you. But even if that is true, the reality is that your budget must grow. In 1970, when I married to my first husband, we believed that if we could have a combined income of $20,000 a year—in New York City—we would be in hog heaven. Imagine what that would get you today. The point, of course, is that even if what you are doing seems to suffice, if you just want to stand still, you must do a great deal more than you are currently doing. And you must start on that road today. Janet Levine works with your nonprofit to ensure your fundraising isn’t stagnating. Learn how she can help you go from mired to inspired at www.janetlevineconsulting.com . This entry was posted in business practices, fundraising capacity and tagged fundraising effectiveness, stagnating fundraising. Bookmark the permalink.